As autumn slides into winter, the matted leaves and needles and twigs that accumulate in shallow woodland pools appear to die. But they don’t; their life moves underwater, preparing for the rebirth of spring. 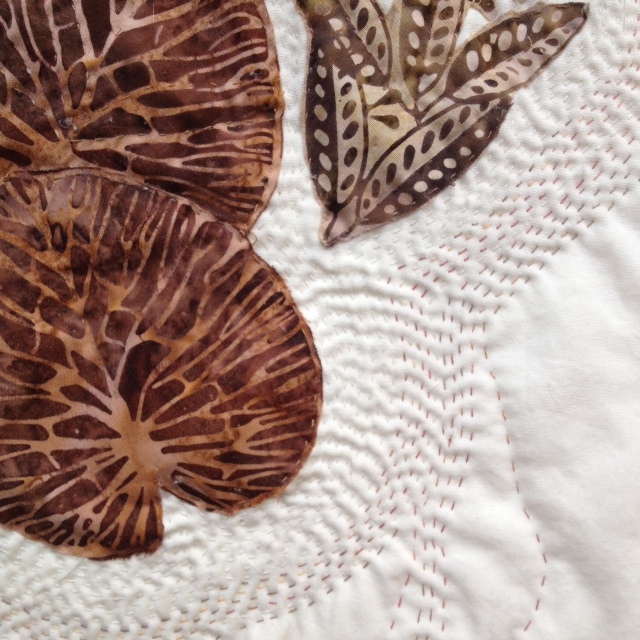 Commercial batik fabrics and unbleached muslin. Fused and hand-quilted. You have been so brave to fussy cut such lovely batiks, one of my favourite patterned fabrics. It is indeed a lovely piece of work. 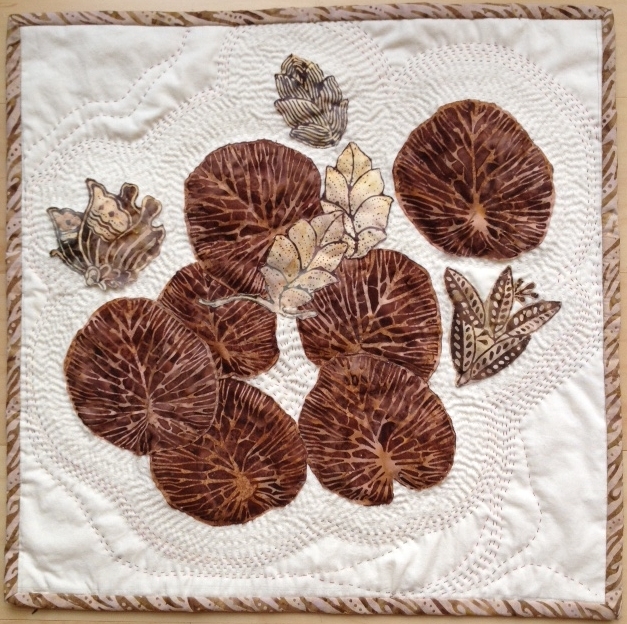 A lovely autumnal feel to this piece, great use of fabric and stitch. Batik fabrics are always nice to use. Nice handquilting.